From above, the Earth appears as a planet with more than 71 percent of its surface covered with the most vital resource for life…water. Water impacts climate, agriculture, transportation, industry and more. It inspires art, music and literature. Arizona has just experienced a historically dry winter, and water is on our minds more than ever. What can we do now to secure water for future generations? The Smithsonian Museum on Main Street exhibit “Water/Ways” explores the past, present, and future of water on our planet. 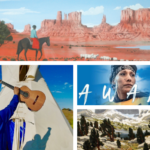 Presented by Arizona Humanities and Arizona State University, this compelling Water/Ways exhibit will travel to twelve Arizona communities from June 2018 through March 2020. The itinerary is available below and online at the new Water/Ways website: www.azhumanities.org/waterwaysAZ Water/Ways explores water’s environmental and cultural impact in Arizona and beyond. The exhibit brings people together to learn about water’s impact on American culture. Each town will offer a variety of talks, films, programs and educational activities that teach people about the importance of water in our own communities, and in the world. The Water/Ways host communities each have complex and unique water stories to tell. The exhibit opens in Bisbee, Arizona on June 2. Did you know that during the late 1800s and early 1900s Bisbee’s copper smelters depleted groundwater? This caused wells to go dry. Fresh water was then retrieved from several miles away, loaded into canvas sacks, and transported to the booming mining town by burro. 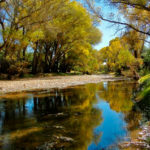 Winkelman and nearby communities southeast of Phoenix are famous for their mining history, but few Arizonans know that Aravaipa Creek and the San Pedro and Gila Rivers provided a rich foundation for small-scale agriculture in the area, a tradition that the Copper Corridor hopes to revive in the form of farmer’s markets specializing in local products. Did you know that the Verde River, one of only two “Wild and Scenic” waterways in Arizona, was once called “the Dirty Verde”? Most Arizonans know that Lake Havasu City is home to the authentic London Bridge, but fewer know that the reservoir created by construction of the Parker Dam in 1938, supplies billions of gallons of water daily to destinations in Southern California and central Arizona. All Water/Ways programs and events are free and open to the public. Families, children and adults of all ages are welcome. You can follow the conversation online at #waterwaysAZ and #thinkwater. 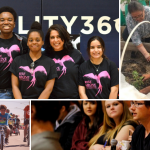 The Water/Ways website (www.azhumanities/waterwaysaz) lists information about each host community, upcoming water programs, resources, and educational curriculum for teachers and students, from the ASU Decision Center for Desert City through their Rural Arizona Water Education project supported by a grant from the Ellis Center for Educational Excellence of the Arizona Community Foundation. Water/Ways is made possible by support from Arizona Humanities, and the Walton Sustainability Solutions Initiatives and the School of Historical, Philosophical and Religious Studies at Arizona State University. Water/Ways is sponsored by the Salt River Project, Nestlé Waters North America, the American Slavic Association, and Chaos RX Optics. 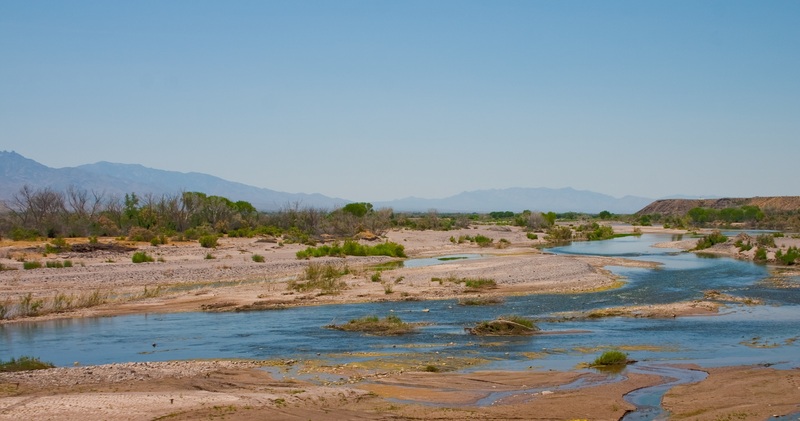 The ASU Decision Center for Desert City Rural Arizona Water Education project is supported by a grant from the Ellis Center for Educational Excellence of the Arizona Community Foundation and the National Science Foundation. To learn more, please visit www.azhumanities.org/waterwaysAZ or call Arizona Humanities at 602-257-0335. Arizona Humanities builds a just and civil society by creating opportunities to explore our shared human experiences through discussion, learning and reflection. Arizona Humanities is a statewide 501(c)3 nonprofit organization and the Arizona affiliate of the National Endowment for the Humanities. 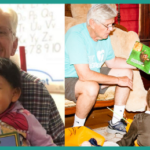 Since 1973, Arizona Humanities has supported public programs that promote understanding of the human experience with cultural, educational, and nonprofit organizations across Arizona. Arizona State University, ranked No. 1 “Most Innovative School” in the nation by U.S. News & World Report for three years in succession, has forged the model for a New American University. 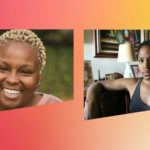 ASU is a comprehensive public research institution, measured not by whom it excludes, but by whom it includes and how they succeed; advancing research and discovery of public value; and assuming fundamental responsibility for the economic, social, cultural and overall health of the communities it serves. ASU operates on the principle that learning is a personal and original journey for each student; that they thrive on experience, and the process of discovery cannot be bound by traditional academic disciplines. Through innovation and a commitment to accessibility, ASU has drawn pioneering researchers to its faculty even as it expands opportunities for qualified students, attracting some of the highest caliber students from all 50 states and more than 130 nations.